If you hunt with firearms, sooner or later you will need the services of a gunsmith. I’ve found that there is a wide range of skill levels among gunsmiths. There are guys that work at big box retailers who can maybe mount and bore sight a scope. On the other end of the spectrum are the true craftsmen who are expert machinists who can build you a sub-MOA custom rifle from the ground up. Bob Odenthal is in the latter category of highly skilled gunsmithing wizards. 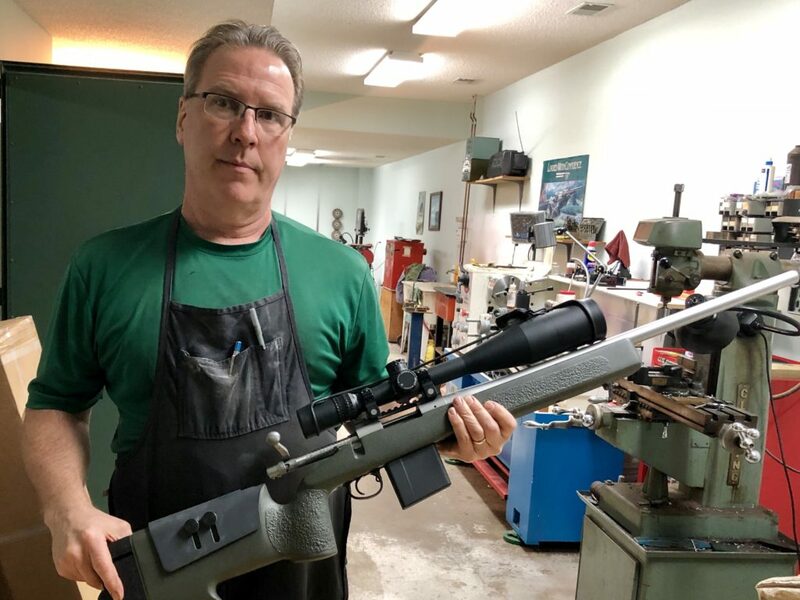 We recently had a chance to ask Bob a few questions on gunsmithing, gun care, and maintenance. I still remember the call. It was about 15 years ago and I needed to have a gun fitted to me. It was my new Browning Citori. The gun was simply too short for me and I couldn’t hit anything with it. I didn’t like the prospect of having someone mess with the beautiful walnut. I started calling around to area gunsmiths and asked them about their approach. My calls were not inspiring a lot of confidence until I reached Bob. 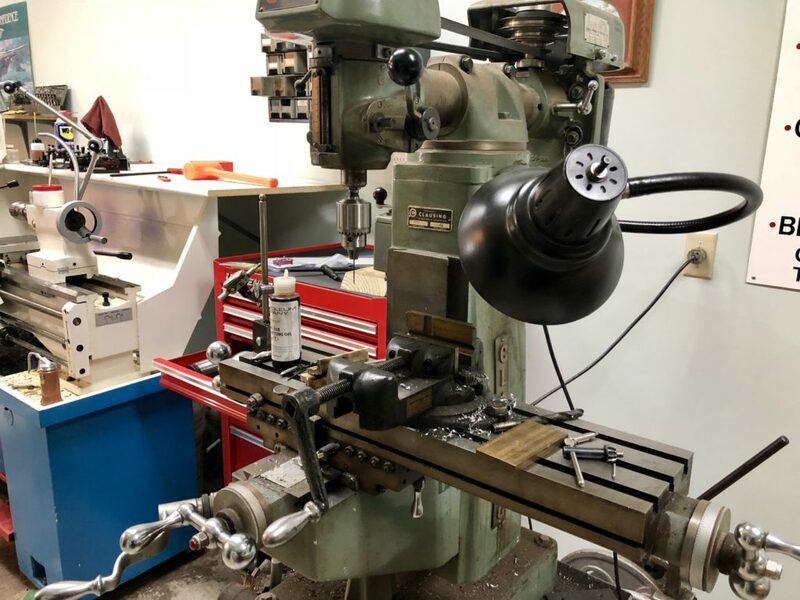 Bob has been a professional gunsmith since 1985. His response, “My tolerances are tighter than Browning’s, you have nothing to worry about”. He was right, he did a beautiful job and I’ve had Bob do all my gunsmithing since then. HuntTested: What are some of the things that you see hunters do to their guns that you wish they wouldn’t? Odenthal: The big thing is when they try to do their own gunsmithing and get in over their head. I no longer take in basket cases. Today, most good Gunsmiths won’t mess with guns that people have already worked on themselves. 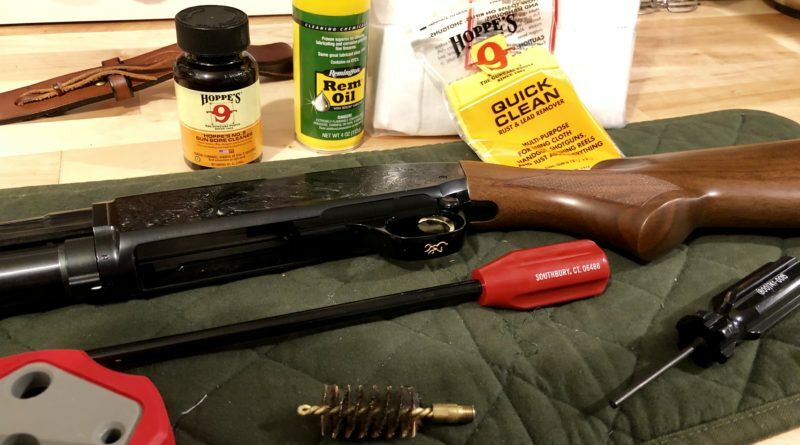 HuntTested: How often do you recommend cleaning your hunting guns? HuntTested: ﻿Given the popularity of semi-auto shotguns. In the context of professional servicing, what are some of the things that you typically do? Odenthal: When I’m servicing a semi-auto shotgun I completely disassemble the gun, inspect for excessive wear or things that are out of spec. It then gets a complete cleaning, properly lubed, reassembled and then test fired. HuntTested: I’ve just hunted in the snow or rain with my blued steel and walnut rifle. What should I do when I come inside? Odenthal: Let the gun come up to room temperature dry it off and wipe all metal down with an oily rag. You might want to spray down mechanisms with LPS-1 lubricant and blow off excess with compressed air. HuntTested: Any favorite gun care products? 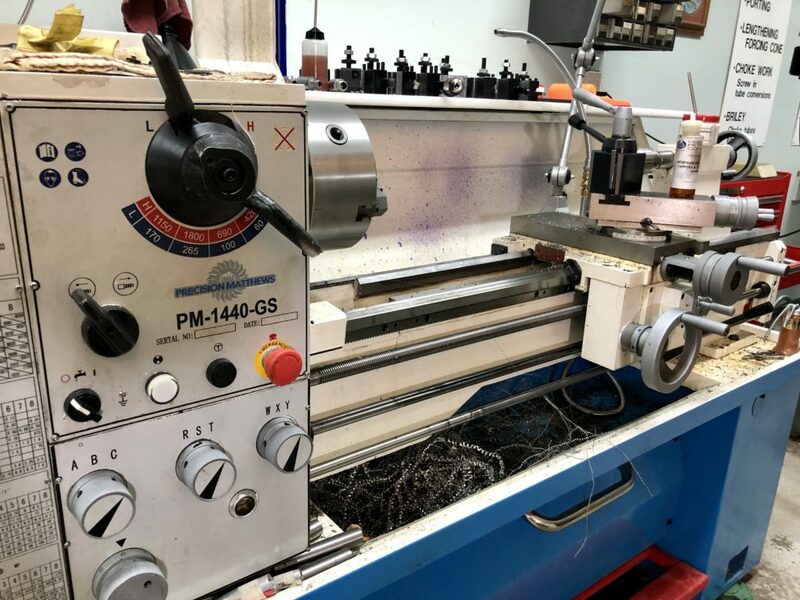 Odenthal: I have been using LPS-1 Lubricant in my shop for over 30 years it is a very light lube that dries to a waxy film and does not build up or get thick. HuntTested: Any recommendations on gun storage? 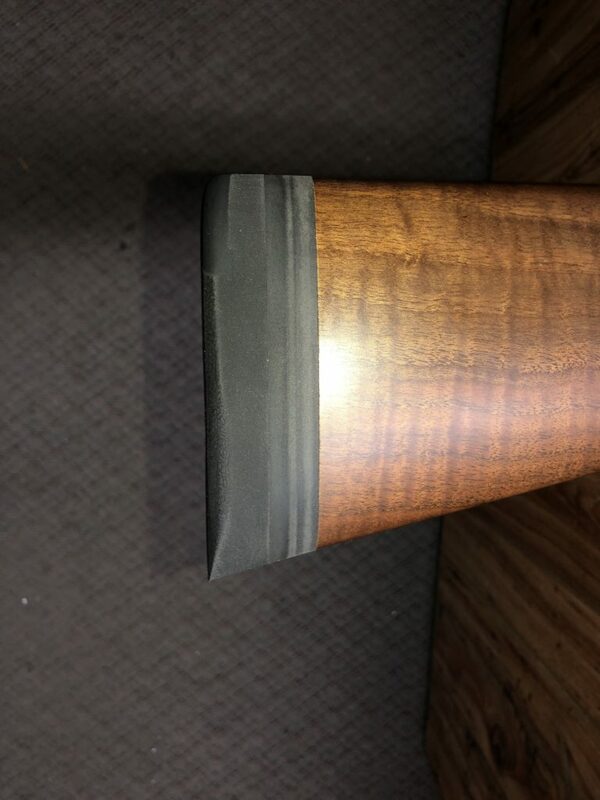 Specifically, I’ve heard that it can be a good idea to store the muzzle of your gun down to avoid oil migration into a wood stock that can lead to eventually splitting the wood? Odenthal: If you are properly lubricating your gun it would not be necessary to store your gun muzzle down. If you are spraying solvents and/or oil into the gun, storing it muzzle down would be a good idea. HuntTested: What are some of the things a gunsmith can do that might surprise people? Odenthal: I can expertly fit your shotgun to you, accurize bolt action rifles, make shotgun barrels perform better and there are things that I can do to reduce felt recoil in both rifles and shotguns. 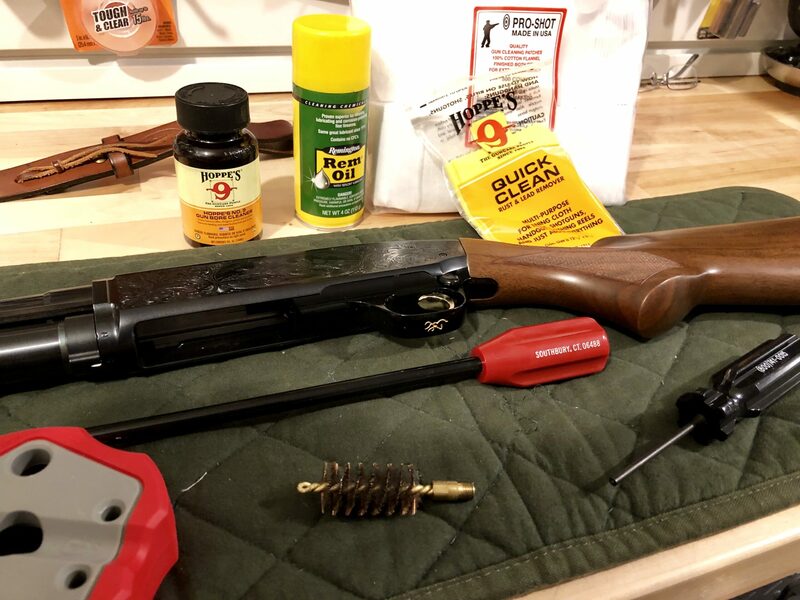 HuntTested: How do you know if a shotgun fits you? Odenthal: If your shotgun fits you well, it will shoot where you are looking and will feel like an extension of yourself. 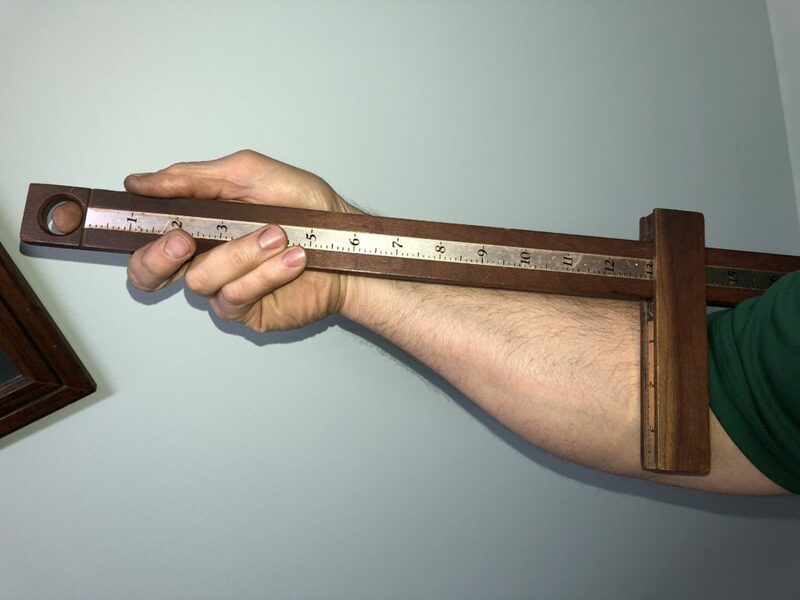 When I am working with a customer I can measure whether or not their gun fits them and then adjust the gun to be a perfect fit. HuntTested: Is fit a concern for rifles? Odenthal: The fit of the gun is not as critical for rifles. If your rifle is set up properly you will not have to adjust to the gun to see through the scope. It should come up naturally. HuntTested: What are some of the things you can’t or won’t do? Odenthal: I won’t work on any of the guns made in Turkey, because with very few exceptions these guns are low quality. HuntTested: What are your thoughts on Cerakoting? Odenthal: When Cerakoting is done properly it is a very good and durable finish. HuntTested: What should people look for in selecting a gunsmith? Odenthal: I would check out their reputation. Today with online reviews you can find out pretty quickly if the guy knows what he is doing or if guns are getting messed up.